Police in Virginia believe they have found the remains of a teenager who went missing while walking to a mosque with her friends. Fairfax County police began their search for a 17-year-old girl, who was identified by friends as Nabra, around 4am Sunday. Police charged Darwin Martinez Torres with murder after they found what they believe is the girl's body in a pond Sunday afternoon. Torres was arrested after he was seen driving suspiciously in the area as police were searching for the teen. Police said they arrested Torres after a search. Officers also said a baseball bat was recovered nearby. Police in Virginia believe they have found the remains of a 17-year-old teen who went missing while walking to a mosque with her friends. Friends identified the missing teen as Nabra (left) and they arrested Darwin Martinez Torres, 22, and charged him with murder. Nabra and her friends were walking from breakfast at IHOP when they were confronted by a man who drove by in a car, according to the Washington Post. Police spokeswoman Tawny Wright said the man assaulted her and she became separated from her friends. The other teens made it safely back to the mosque where they notified authorities of what happened. Authorities later found a body in a pond near Ridgetop Circle in Sterling, Virginia. The girls had been participating in at a sleepover at a religious institution that authorities did not identify. 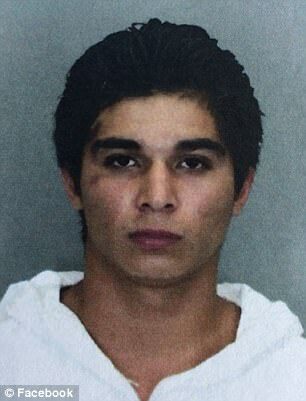 But the All Dulles Area Muslim Society confirmed in a news release that the teens were affiliated with the mosque. 'We are devastated and heartbroken as our community undergoes and processes this traumatic event,' the society said in the news release. 'It is a time for us to come together to pray and care for our youth.' It said the society was enlisting licensed counselors to assist anyone in need. Racial justice and civil rights activist, Linda Sarsour, expressed her outrage over the incident on Facebook. 'Nabra, you and your family will get justice. 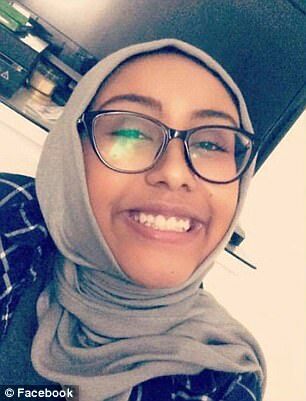 '17 year old Muslim sister from the ADAMS Center beaten to death with a bat and thrown in a pond in Virginia. Driver of the car that stopped to assault Nabra and her friends is in custody. Sarsour, who was one of four co-chairs for the Women's March in January, continued: 'This is NOT OKAY. This is NOT OKAY. As a mother of a 17 year old daughter - I am HEARTBROKEN. SHATTERED. Nowhere is safe. 'During these last few days of Ramadan, please pray for Nabra and her family, and pray that God protects us and all of our children,' Sarsour wrote. The medical examiner's office will confirm the identity of the remains found and the manner of death.